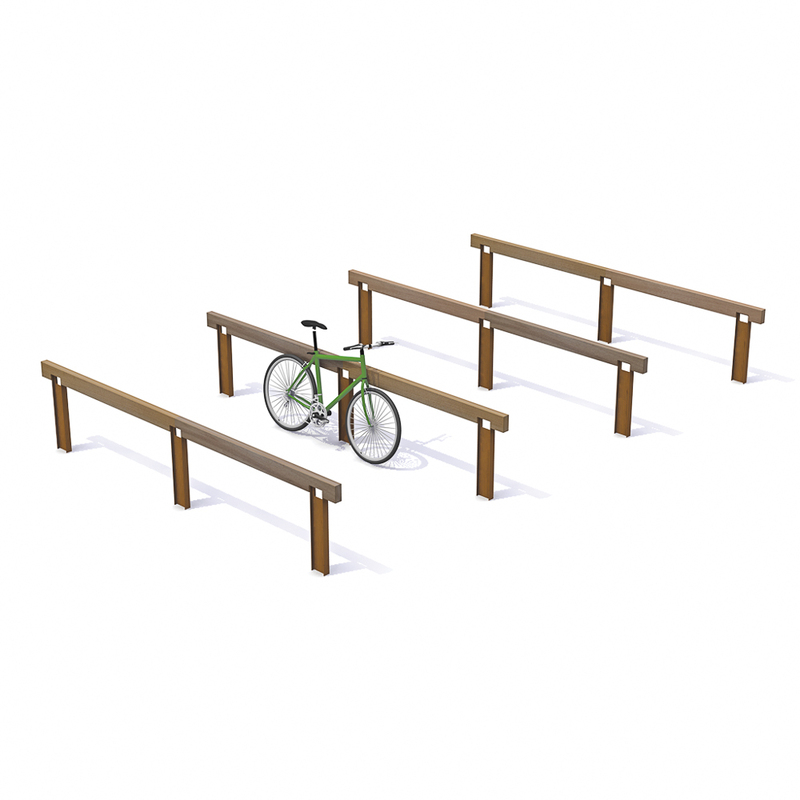 The Rough&Ready Inline Bicycle Parking has a robust, natural appearance. 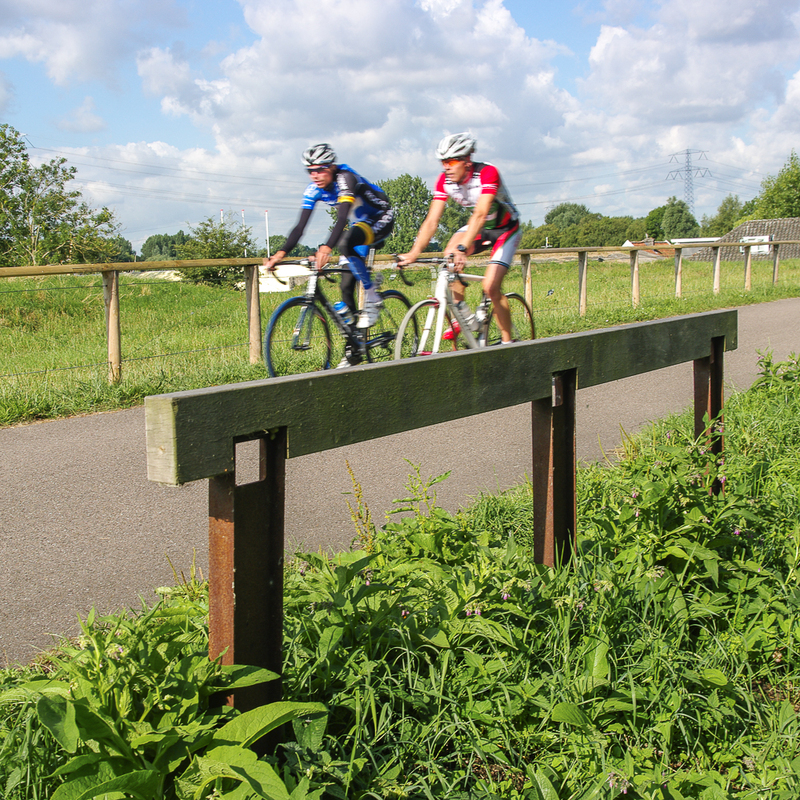 The stands themselves are made of CorTen or galvanised steel and can be optionally finished in an RAL colour. 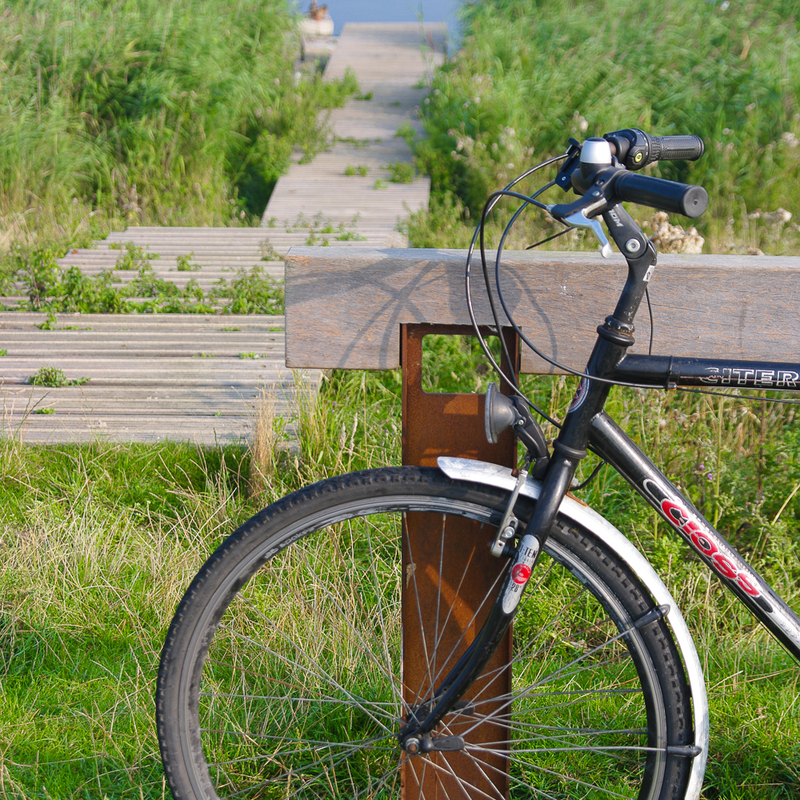 The supporting bar consists of a sturdy FSC® hardwood Rough&Ready beam, which will not damage the bicycle frame. 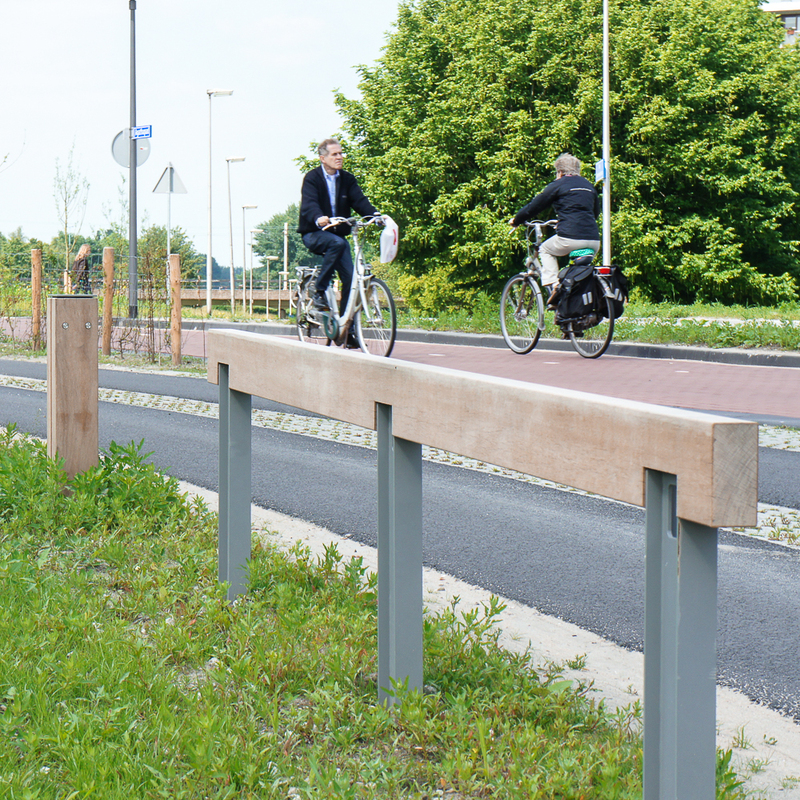 The long Inline configuration comprises a traditional bicycle parking facility, but in a new and modern format, and offers many parking spaces on a small surface area. The height of the fence is 75 cm - 30”. The system can be extended endlessly.